The Town Hybrid ONE Bosch e-bike has been designed with one simple goal in mind: to make your life easier. 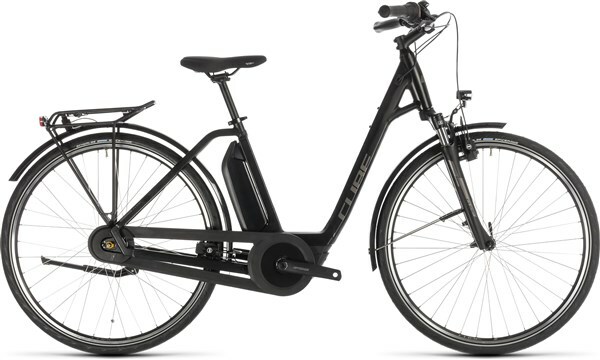 The elegant Easy Entry frame, easy-to-use Shimano 7 speed hub gears and smooth, powerful Bosch drive unit will deliver you from A to B effortlessly and in complete safety. The cunningly sited battery is tucked out of the way, while a completely enclosed chain and included mudguards help keep your clothes clean and dry while you ride. The luggage carrier is perfect for bringing your essentials with you, there's a kickstand for park-anywhere convenience and an included lighting system ensures you can see and be seen at all times of day. We even included a comfortable suspension fork to help smooth out rough road surfaces. Jump on and ride - you'll wonder how you managed without it.